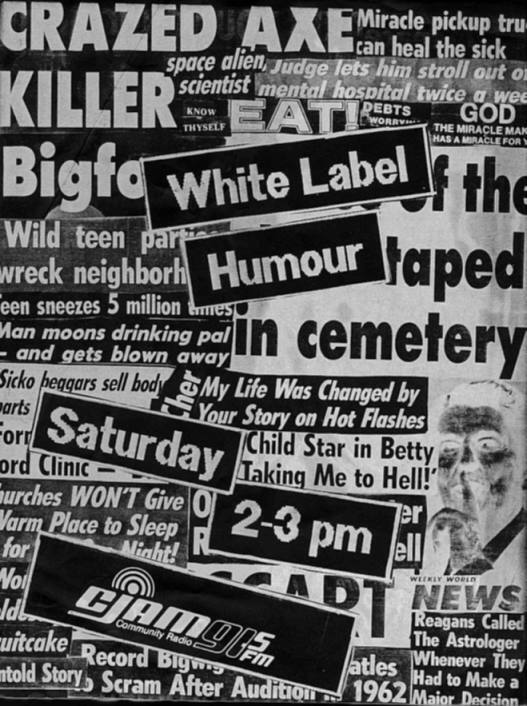 White Label Humour was a radio show my friend Terry and I wrote/hosted on the University of Windsor's CJAM (91.5 fm) from June 1987 to July 1990. We brought CJAM's listeners an hour of biting satire with a strong local bent. We lampooned local luminaries like Mayor David Burr, Charles Mady ("Windsor's developer king Charlemady"), Pat "Windsor's Only Lawyer" Ducharme, Karen Hall (holy cow, those bastards made fun of Karen Hall?) and Councilor Tom Toth (reputed Maximum Leader of City Council's secret police force "the Tom Toth Macoutes"). We poked fun at Windsor's lunchbucket mentality, the Freedom Festival, the Conklin Carnival, the Peace Fountain, and of course Jason's. 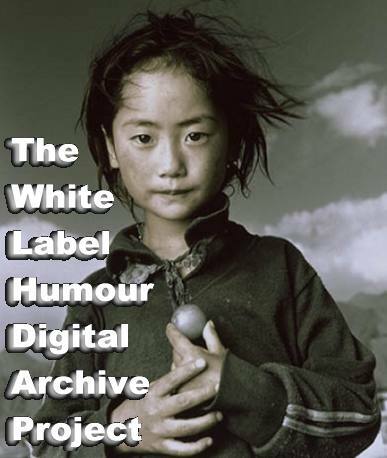 White Label Humour FAQ - A FAQ about the 5 CD Best of White Label Humour CD set Karl has carefully prepared. Say, sport, want your OWN totally OFFICIAL Best of White Label Humour CD? * Sorry, man, yeah we're Canadian but the store is hosted by an American service. But they will ship to Canada. So that's okay 'n' stuff.